...screamed Gaga on Twitter earlier, before the official play of Applause. But what was the emergency? Last week's hacker leaks? Or Katy Perry's unveiling of Roar? Either way, Applause is exactly what fans have been waiting for. It's essentially 'Confessions On A Dancefloor' era Madonna meets Grace Jones weirdness - so classic Gaga really. There's a massive synth line. There's a bizarre vocal delivery, especially in the first verse. There's a controversial lyric in the second verse, with the word "koon/kunst/c*nt" (depending on how you hear it). I'm hoping for kunst - surely the German word for art would be a nice link to the album title? There's a brilliantly narcissistic chorus "I live for the way that you cheer and scream for me", followed by the euphoric "put your hands up make 'em touch, touch". It might not have the originality of Poker Face or Bad Romance, and it's less radio-friendly than the competition (namely Katy Perry), yet this is an absolute BANGER to put Miley Cyrus' album to shame. 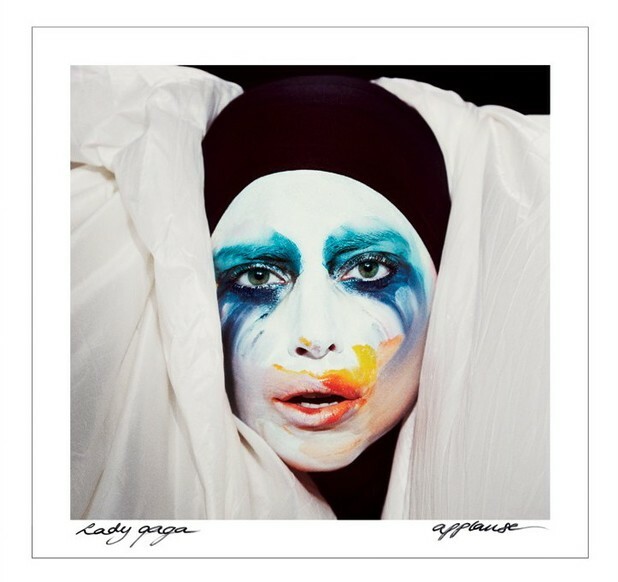 Listen: Applause is available now (in America).